My name is Fredrik Petersson (PhD in General History, Åbo Akademi University) and this is my blog about past and present history. I live in Stockholm, Sweden, and see myself as a global person in a connected world. On this blog I will focus on discussing past and present topics and events which either are well-known or forgotten. 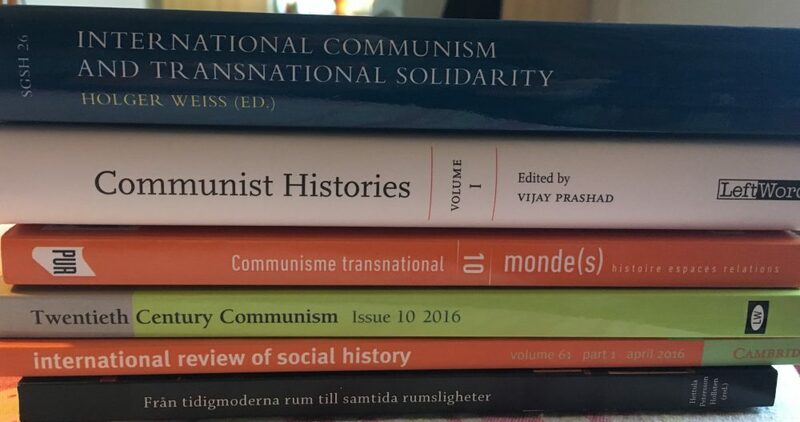 My research is on twentieth century political movements, especially those related to anti-colonial/imperialist and international communist organizations/committees/associations and the individuals that were involved and engaged in these movements. My doctoral thesis on the sympathizing organization the League against Imperialism (1927-37) aimed to introduce a deeper understanding on the question of “lost history”, and the relevance to rediscover forgotten historical narratives and their meaning for history. The second aim is to locate and unfold the question of space and place in a spatial dimension, i.e. I want to highlight that place represent a unique position to understand historical processes. This blog will give examples on the above, focusing on ideologies and individuals in an organized world.